At Prairie Mall Dental Clinic you will find our friendly team of dentists, dental hygienists and dental assistants will go above and beyond to try and exceed your expectations when caring for your smile. Prairie Mall Dental Clinic has proudly served the Grande Prairie community for almost 20 years. In March of 1997 Prairie Mall Dental Clinic opened with only one dentist, Dr. Dada. Since that time, we have expanded our team to four experienced dentists to better serve our community’s dental needs. We are a growing dental family is dedicated to serving you and your family with personalized service and compassionate care. Our clinic’s motto is “smile with style.” Our group of dedicated dental professionals offer a variety of general and cosmetic dentistry services to help you maintain your healthy and radiant smile. 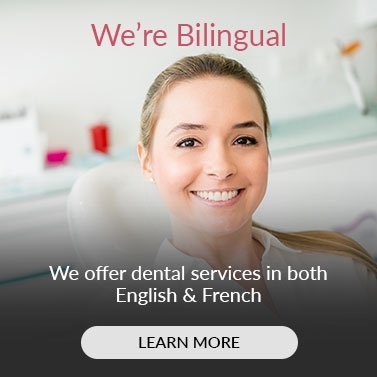 We’re committed to providing short- and long-term dental care solutions to help you look and feel your best. We appreciate your interest in our practice and look forward to providing you and your family with quality dental care.